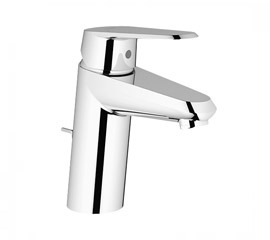 single hole installation; metal lever; GROHE StarLight ® chrome surface; GROHE SilkMove ®, 35 mm ceramic-cartridge; variable, settable volume limiter; settable minimum flow rate 2.5 l/min. 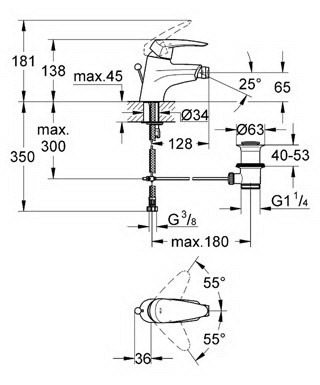 ; Mousser; flexible connection hoses; Grohe QuickFix ® Plus installation system with centering aid; fittings group I in accordance with DIN 4109. 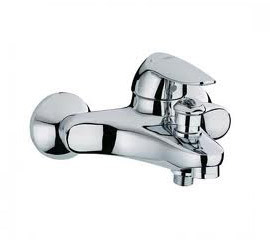 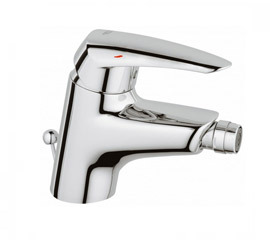 Wall-mounted; with metal lever; GROHE SilkMove ® 46 mm ceramic cartridge; GROHE StarLight ® chrome surface; variable, adjustable flow limiter; settable minimum flow rate 2.5 l/min. 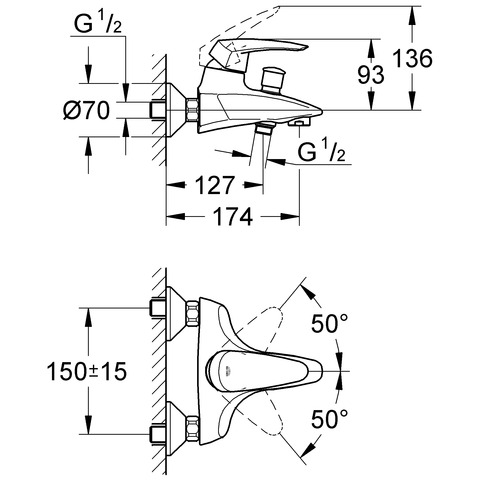 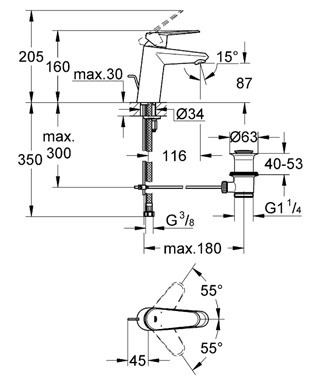 ; automatic diverter: bath/shower; integrated non-return valve in shower outlet 1/2"; mousseur; S-unions; fittings group I in accordance with DIN 4109.